On the dawn of its 20th birthday, Equinix dominates the world of colocation. In the first quarter of the year, the company accounted for 13 percent of the global market, according to Synergy - and it has the infrastructure to show for it. Launching its own public cloud service would seem like the sensible thing to do, but instead, Equinix chooses to grow the plethora of other services it provides. Schwartz said that instead of coming to them in search of a public cloud alternative, what customers ask for is help in dealing with connectivity, application performance, and in some cases, security challenges. If anything, major cloud providers’ growth has benefited Equinix, given that they accounted for approximately 10 percent of its $5bn annual revenue last year, and growing. “And that doesn’t include other public cloud providers who are smaller players either because they’re in one geography or have one particular type of capability,” Schwartz added. Last week at an analyst summit in New York, the company discussed its recently launched Cloud Exchange Fabric: an extension of the company’s cloud exchange service (ECX), it allows customers to connect various sites together and set up networks between data centers nearly instantly. 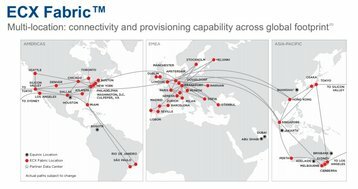 Accessible via an online portal, the service currently connects all of the US metros, and all European metros together. An Asian service is due to launch soon, and the company expects to make this a global platform by the end of the year. 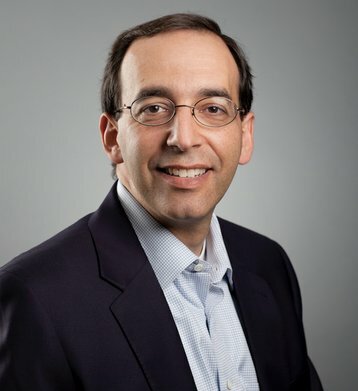 Customers are using the multiple cloud exchanges “not just for connectivity, but for resilience and redundancy,” Schwartz explained. Cloud Exchange Fabric was designed for organizations that wish to connect to multiple clouds but may not have the technological ability, the time, or the will to manage the connections themselves. The platform’s second advantage, Schwartz said, is that it makes up for cloud companies’ lack of presence in some markets. But interconnection is not the only area of focus for Equinix, and it is safe to say that the company will remain ambitious: it expects an average annual growth rate of eight to ten percent from now until 2022. What’s more, it plans to invest $10bn over the next five years in organic “expansion, growth and development,” on top of any mergers and acquisitions, which Equinix has quite a track record for – with Metronode in Australia, Infomart in Dallas and Itconic in Spain and Portugal all purchased recently, to name a few. Equinix’s explosive growth in the Asia Pacific is something to keep an eye on, Schwartz said, as this part of the world accounted for 19.2 percent of the company’s revenue in Q1 of this year. Meanwhile, the EMEA market was growing at a similar pace despite a much smaller user base. He suggested that this was a reflection of the fact that while the economic circumstances differ by country and by region, the fundamental drivers of this business around adoption of technology and deployment and uptake remained the same. As for the company’s presence in Europe, Schwartz said, growth is not its primary goal (but it does intend to do that, too) as much as meeting the need for presence in diverse markets outside of the traditional hubs of Frankfurt, London, Amsterdam and Paris (FLAP). Growing concerns over data sovereignty and GDPR are in some way responsible, he said, but it is also the case that enterprises across Europe are more reliant on digital infrastructure than they used to be. Among the emerging hot-spots, Schwartz named Madrid and Barcelona, the Nordic capitals – specifically, Stockholm and Helsinki - and Dublin. But that’s not all: “We’re investing in expansion in Sofia, Bulgaria; we’re investing in Milan and Zurich. Looking to the future, despite it being the talk of the town, Equinix does not fear the advent of edge computing. 5G and IoT, Schwartz said, are going to create new requirements, but whether that means “more distributed data center infrastructure, or whether it just changes the topology and design of the network” is something that’s up for a discussion. Another thing to emerge, he argued, is the drive to aggregate datasets in a central location for analytics, “even if they are collected remotely.” The company is beginning to see such use cases in its data centers, he said, especilly among customers in the healthcare, logistics, insurance and travel sectors. Considering problems that may arise from the new model, the company is prepared to embed itself in more metro areas. 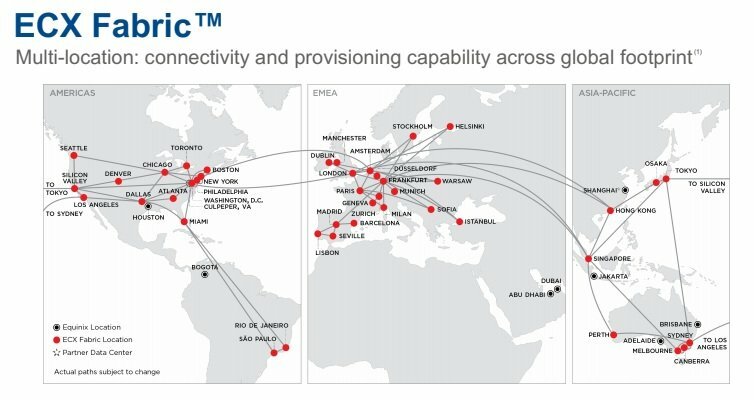 Taking a more distributed approach than it currently does – and Schwartz pointed out that Equinix does consider its offering to be distributed, with more than 200 data centers in 24 countries and 50 metropolitan areas - is not something the company sees as a necessity, with “enough demand and activity” for its metropolitan deployments, presently and in the future.